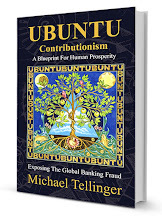 One of the main attractions at the UBUNTU FESTIVAL - 12-15 April Badplaas, South Africa. Abafazi is a strong, colourful group of South African women who give a heart-warming view of their lives with music, singing and dancing. The African drum and melodic marimba are traditionally only played by men, but now the women of Abafazi turn the Flint upside down. 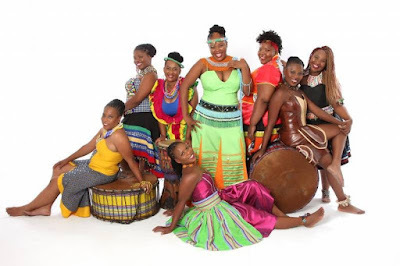 With beautiful costumes and powerful African hits they show what they stand for. Abafazi accompanied Shakira, among others, at the kick-off of the World Championships in Johannesburg, and was part of the opening of the Olympic Games in China. Energetic and lively - Abafazi give you a heartwarming glimpse of their lives through their music, song and dance. 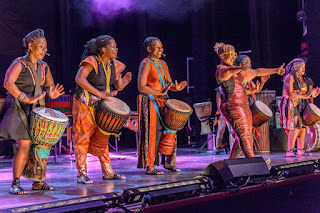 Mothers of Africa includes well-known African songs and original compositions accompanied by dynamic dance, like pantsula, township dance and the more modern African styles. 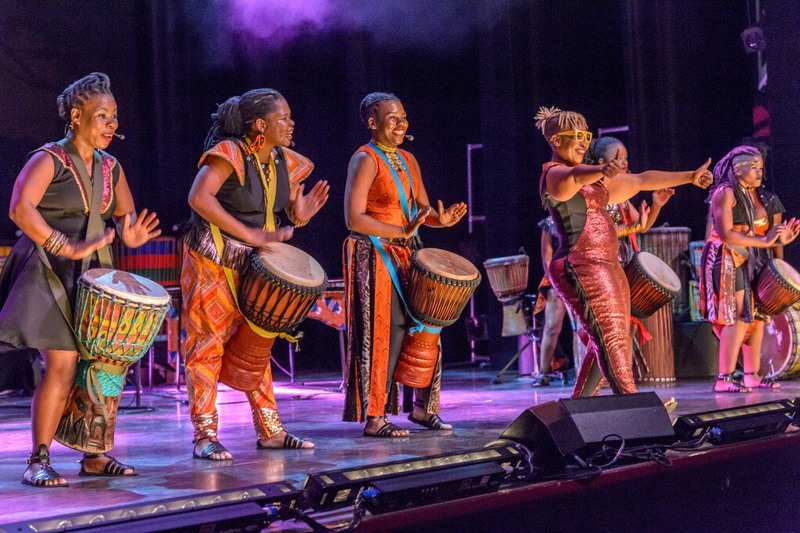 Their thrilling performance on the African drum and marimba is remarkable, as traditionally only men play these instruments.